Color on screen and the sophisticated and expressive ways filmmakers have historically represented it is spotlighted in Emory Cinematheque’s spring film series. "Glorious Color!" is the theme of this semester’s weekly series of free film screenings, which returns Wednesday, Jan. 16. All screenings will be held each Wednesday at 7:30 p.m. in Emory’s White Hall, Room 208 through April 24. The series is free and open to the public and films will be shown in the theatrical projection formats 35mm or DCP. This series examines the history of color film as an ongoing dialogue between technology and aesthetics. Opening the series on Jan. 16 are restorations of Robert Wiene’s “The Cabinet of Doctor Caligari” (1920) and the Georges Méliès short “A Trip to the Moon” (1902. Technologies explored in the series include tinting and hand-coloring in silent films, two color and three-strip Technicolor, Eastmancolor, and the new possibilities opened up by digital color grading. Films in the series include “King of Jazz” (1930); “The Adventures of Robin Hood” (1938); “A Matter of Life and Death” (1946); “An American in Paris” (1951); “All that Heaven Allows” (1955); “The Red Desert” (1964); “Cries and Whispers” (1972); and “The Aviator” (2004). "Besides showcasing some of the most striking examples of color in the history of film, I want to raise awareness of the recent boom in digital film restoration. It is gratifying to see so many older films available to the public in high quality versions, but at the same time it raises significant questions," says series curator James Steffen, the Film and Media Studies librarian and film historian. "How do we know what a film looked like when it was first released? And what happens when you translate a film from a photochemical medium such as 35mm into an all-digital environment?" he asks. Each film will be introduced by Steffen or other film studies faculty. During the silent era, filmmakers used a variety of techniques to introduce color in their images, including tinting and toning, hand and stencil coloring of individual frames, and early experiments with natural color photography. This restoration of Georges Méliès’ “A Trip to the Moon” is based on a rare hand-colored print. The 2014 restoration of Robert Wiene’s classic German Expressionist work “The Cabinet of Dr. Caligari” draws upon the surviving camera negative and reproduces the tinting and toning found on early release prints of the film. Technicolor was not the first successful natural color process, but it became by far the most widespread since exhibitors could use normal projection equipment in all but its earliest version. Until the early 1930s, Technicolor employed a two-color system that did not reproduce a full color spectrum. As can be seen in this striking restoration of John Murray Anderson’s “King of Jazz,” a musical revue featuring the jazz conductor Paul Whiteman and an early appearance by Bing Crosby, filmmakers often turned that seeming limitation in color to their advantage through creative use of set design, costumes and lighting. The first major three-strip Technicolor film was the Disney animated short “The Flowers and the Trees” (1932). By the time of “The Adventures of Robin Hood” (1938), Technicolor had solved the main problems of photographing and printing full color films on a mass scale. As a business entity, Technicolor also influenced the overall look of color films made in Hollywood, since they required studios to hire a Technicolor consultant—most often Natalie Kalmus, the ex-wife of Herbert Kalmus, one of the company’s founders. This film, directed by Michael Curtiz and starring Errol Flynn, Olivia de Havilland and Basil Rathbone, remains one of Hollywood’s most entertaining adventure epics. The cinematographer Jack Cardiff collaborated on three features with the Michael Powell and Emeric Pressburger: “A Matter of Life and Death” (1946), “Black Narcissus” (1947), and “The Red Shoes” (1948). They stand out as imaginative high points not only in the use of Technicolor, but also in the history of color film in general. Grover Crisp from Sony Pictures Entertainment will introduce this new 4K digital restoration of “A Matter of Life and Death,” also known as “Stairway to Heaven,” starring David Niven and Kim Hunger. The musicals that Arthur Freed produced for MGM arguably represent the creative pinnacle of Technicolor in Hollywood. And one of best examples of this is surely the 17-minute ballet sequence that caps Vincente Minnelli’s “An American in Paris” (1951) Starring Gene Kelley, who also did the choreography, and Leslie Caron, the film won Academy Awards for Best Picture, Screenplay, Art-Set Decoration, Costume Design, Music, and Cinematography. Eastman Kodak’s single-negative Eastmancolor process quickly displaced the three-strip Technicolor system as the industry standard, although Technicolor continued to produce high quality release prints with their dye transfer process. Employing the combination of an Eastmancolor negative and Technicolor release prints, in “All That Heaven Allows” (1955), Douglas Sirk and his cinematographer Russell Metty used vibrant and stylized colors to dramatize a romance between a widow (Jane Wyman) and a younger gardener (Rock Hudson). The format is DCP, courtesy of Universal. Feb. 27: Special screening of a rare IB Technicolor print. Title TBA. Technicolor’s dye transfer printing process, while relatively expensive and time consuming, the process allowed for a high degree of control over the color on release prints. The colors also tended to be very stable over time compared to other color systems. Technicolor continued to produce prints for a large number of feature films through the early 1970s, and the process was revived 1997-2002 for a selected number of restorations and new feature films. This special screening will show case a vintage print of a classic film. Further details will be announced before the screening date. In his first color film, the renowned Italian director Michelangelo Antonioni employed visual effects such as an extreme telephoto lens to suggest the troubled psychological state of the protagonist, Giuliana (Monica Vitti), as she wanders the industrialized landscape of northern Italy. Notoriously, Antionioni painted everyday objects and even outdoor landscapes to achieve the precise color effects that he wanted. Antonioni commented, “I want to paint the film as one paints the canvas; I want to invent the color relationships, and not limit myself to photographing only natural colors.” In places the film invokes abstract painting, as scholar Angela Dalle Vacche has pointed out. Vilmos Zsigmond (1930-2016) was easily one of the most accomplished cinematographers of the 1970s. In “McCabe and Mrs. Miller” (1971), director Robert Altman wanted to suggest the look of “old faded pictures.” Zsigmond employed a method known as flashing, which entails pre-exposing the negative to light before shooting, a technique that helped cement the film’s reputation as a sophisticated and layered commentary on the Western genre and American capitalism. The film is also memorable for its performances by Warren Beatty and Julie Christie. The bleach bypass process and its variants entail skipping or minimizing the usual bleaching stage in photochemical lab development. Because more silver is retained in the image, it increases the contrast and results in deeper blacks. It can also result in desaturated colors. In “Distant Voices, Still Lives” (1988), one of the most highly acclaimed modern films from the United Kingdom, Terence Davies uses the distinctive bleach bypass look to evoke his emotionally complex childhood in working-class Liverpool, and the impact of popular music on his family’s life. This new 4K restoration was supervised by the director. The use of a digital intermediate (DI) technology has existed in various forms for years, but by the early 1990s it was robust enough for filmmakers to use on a large scale. For Martin Scorsese’s “The Aviator” (2004), a biopic of Howard Hughes (Leonardo DiCaprio), it enabled the cinematographer Robert Richardson and his technical crew (who took home an Oscar for their work) to design LUTs (mathematical lookup tables) to give the footage a desired appearance. 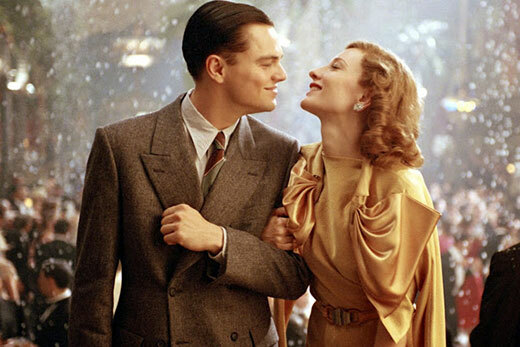 Also featuring an Oscar-winning turn from Cate Blanchett as Katherine Hepburn, an all-star cast, “The Aviator” also received Academy Awards for editing, art direction and costume design. Our goal was a look.” To achieve “Speed Racer”’s hyper-real look that was a hybrid look of film, digital and animation, David Tattersall and the film’s technical crew used high definition video instead of film, an exaggerated color palette, and elaborate digital compositing and green screen effects. This 2008 homage to the Japanese manga and television series from the sixties has grown in reputation due to its high octane visual style and excellent cast, including Emile Hirsch, Matthew Fox, Christina Ricci and Susan Sarandon.